Searching the best painters Adelaide? Call Marks Painting on 1300 293 816 for painting services. We are the best Commercial/Residential Painter Adelaide. With us, you can get the world-class painting solutions at the cheapest prices in Adelaide. Contact now for the free quote & immediate services for your domestic & commercial painting work. We are committed to providing the highest quality painting service throughout all of Adelaide. Same day service available! Servicing all suburbs of Adelaide with quality workmanship! We will treat your home or business with the respect it deserves. Our Painters in Adelaide are known for long-lasting, quality commercial and residential painting jobs and outstanding customer satisfaction. Quality job at affordable prices. Marks Paintings has a team professional and friendly local painters Adelaide with the experience of around 20 years in the domain. We paint and decorate old and new houses, units, apartments and etc. Marks Paintings -The best home & commercial painters Adelaide. Specialised in Residential Painting, Exterior & Interior painting. Now, your searches for the best painters Adelaide at us, and give your property a new appearance with our world-class painting services. We aim at ensuring that your Adelaide property is looking its best at all times. We guarantee you with the much-needed trust derived from our talented painters who produce unmatched painting results in Adelaide and its environs. Marks Painters Adelaide is comprehensively covered in terms of public liability and all the needed work cover. All our painters do their best in carrying out all assignments that are done in the most secure efficient manner possible. In the execution of our work, we are privy to the fact that there is need of minimizing the effect of painting on our fragile environment, which makes us adapt to the green working practices and use of eco-friendly products, whenever the need arises for such. At Mark’s Painters Adelaide we fully offer comprehensive domestic painting to all our clients needing the service in Adelaide and its environs. In delivering our services, we have consistently painted homes of all walks, working on them both inside and outside to give them the much needed striking finish. It does not matter to us whether you have an expansive apartment, a small apartment or a luxurious high rise building; we have the capacity to handle your assignment with a lot of ease. We paint each square foot of your home with full dedication at the cheapest prices. Our team of expert painters has from time to time handled a wide range of services that require the painting of different surfaces, which attract special painting methods that are performed by us to deliver a result that fits within the clients’ expectations. 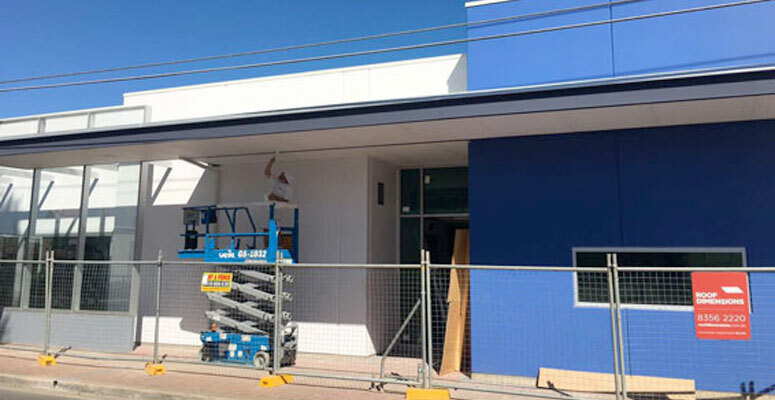 For the duration of time that we have been in the painting industry in Adelaide, we have over the years done countless commercial painting projects. Marks Painting commercial painters have the expertise of working on numerous sites such as offices, restaurants, shops, warehouses, and pubs. In the execution of all the work that we have done, we always made use of premium materials with tools and matching equipment purposed at producing outcomes of the highest quality in Adelaide. When our team of experts comes to do the painting in your residence or business premises, we always minimize any kind of possible disruptions to the business going on within your property. Our professional painters are flexible indeed, and they will design the most suitable work plan for you that is in tandem with your business. In some cases, we can undertake to do client’s work during weekends when they are present at their property and we also provide our services during the night if required. We at Marks Painting are also known for offering top-notchindustrial painting throughout Adelaide. The coat of our high-quality paints brings a life to the dull walls of the factories that give them a refreshed look. We are capable of bringing out our painting projects without letting the work hamper. The painting professionals of our team are highly dedicated and work round the clock to perform the painting procedure. Also, the way our painters carry out the procedure, it causes the least mess around the premise. This is the reason, we proudly call ourselves as one-spot-solution for your painting needs. Plus, our professionals can work in the evening or on weekends to ensure there is no disturbance created in your workflow. It’s our ability to complete a big project in the limited time that makes us one of the leading names in the niche. Our first step includes visiting customer’s premise and understand their need and expectations from our painting services. We ask them about the colour preferences and describe them about services. After understanding the customer’s needs, we suggest them the right colours and themes that go well with the interior. We offer them the value for money with our customised services. Once we get to know about your needs and the customer is completely satisfied with the suggested plan, we go ahead with the painting plan. This plan helps us to organise our working process. At the last step, we go ahead with the customised procedure and deliver you the high-end painting solutions. We carry out the goal-oriented process and offer the guaranteed and complete customer satisfaction. Any home yearns for a refreshing look, which requires you to have an expert to give it a coat of paint as the most perfect remedy. We will come over to your residence armed with the right type of color and cool texture that has all the potential of transforming your rooms. At Marks painting, we have a team of staff of painters who have a specialty in painting any kind of domestic as well as commercial interiors that you need to be done within Adelaide. We have the necessary professional ability to paint on all sorts of surfaces, which makes us the perfect choice that all homeowners and property managers need in Adelaide. All clients who need any of our bold design done by our seasoned painters need to come to us in order to have specialized and well-decorated finishes. We at Marks Painting have been slogging for years, successfully standing on the expectations of our clients all across the suburbs of Adelaide and its surroundings. Marks Painters Adelaide is your company of choice that is built on honesty, integrity, and quality professional services that breed trust and reliability which assure us of repeat business and more referral sales. It is within the provisions of our mission to offer all our clients services that cater to the needs of homeowners as well as builders and project managers. These are the following reasons you should hire us. Marks Painting we have the commitment of delivering excellent services to you to give your property an exquisite appearance that you will be happy to write home about. We aim at ensuring that your Adelaide property is looking its best at all times. © 2018 Marks Painting. All rights reserved.